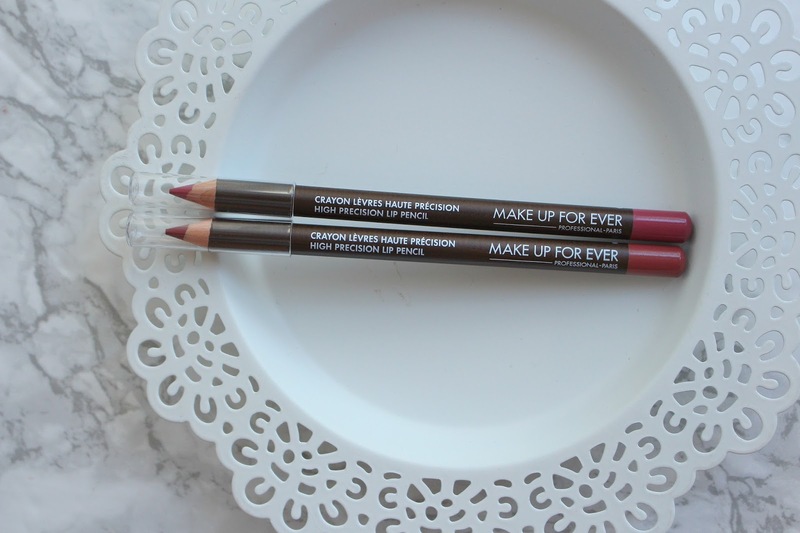 Recently Make Up For Ever released a new lip product, the Make Up For Ever High Precision Lip Pencil. I became a huge fan of the Aqua Lip Liners a few years ago, the first high end lip liner I ever repurchased, and will continue to! 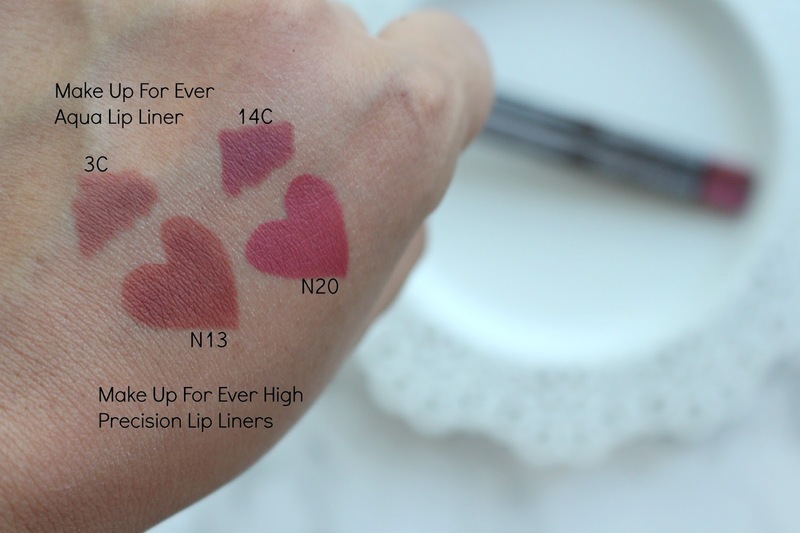 The Make Up For Ever High Precision Lip Pencil retails for $18 USD/$22 CAD and there are 12 shades available. 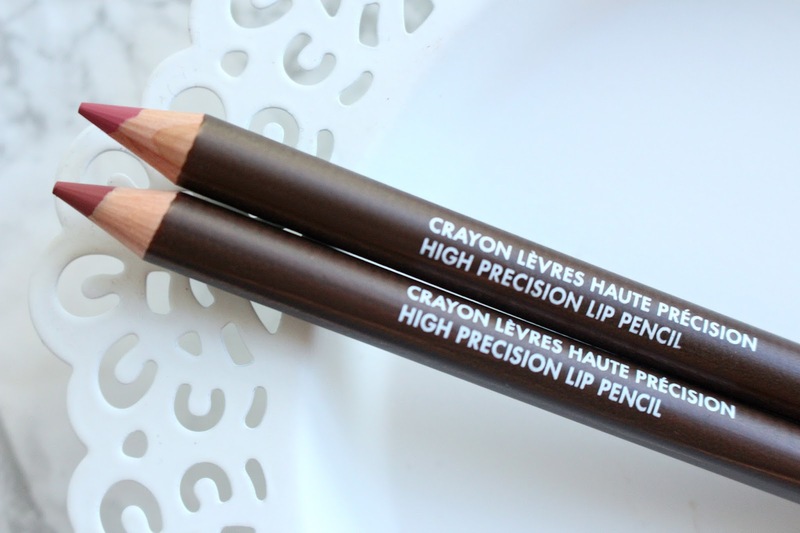 The precision lip pencils are a wood pencil that can be sharpened. "Discover the pencil that gives lips one of the most precise definition and perfect colour contouring imaginable. Created to merge with lipstick, this ultra-precise artist’s tool comes in 12 neutral tone-on-tone shades that blend in so perfectly that you can’t tell where the pencil ends and the lipstick begins." By comparison the High Precision Lip Pencils are stiffer than the Aqua Lip Liners. At first I was unsure about this, but upon use I really enjoy them! They are just stiff enough for a very precise line. I would not recommend wearing them all over the lips, you'd need a balm over it to make it more comfortable. These are best for lining, over-lining, ombre or as a base under lipstick. 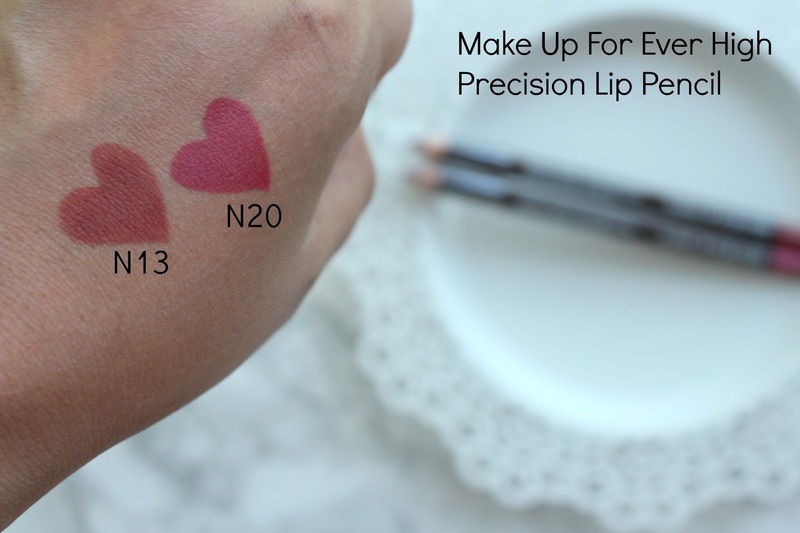 Both pencils from Make Up For Ever are two totally different products, depending on what you're looking for. Overall I think these are fabulous! If you are looking for a lip liner that will allow you to carve out your lips, over-line them or prevent lipstick bleeding these are just what you need. They have a great shade range of neutral, pinks and berries. Hopefully they will continue to expand the range! *The MUFE High Precision Lip Liners were sent for my review, and some links are affiliate.